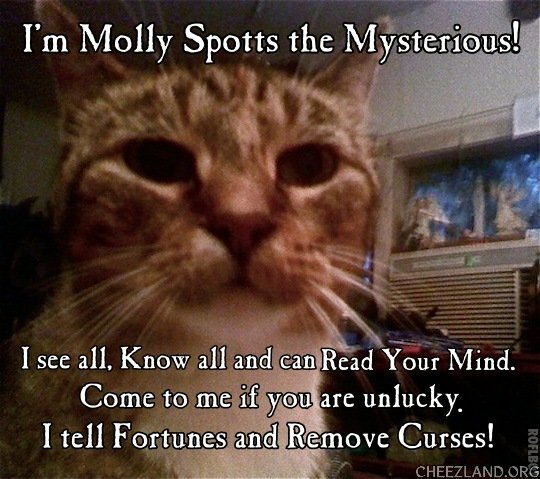 I’m Molly Spotts the Mysterious! ok molly spotts, ai b awf two werkz, c u L8r . O, now Ai aer bakk! Lass tiem Ai lukked Ai wuz inbiziblol. Praps Ai du need halp remoobin a curse oar too!